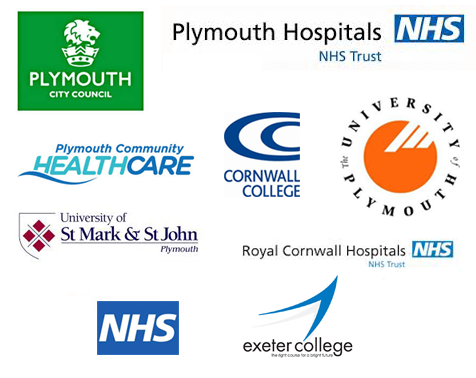 family run business with an office based in Plymouth." 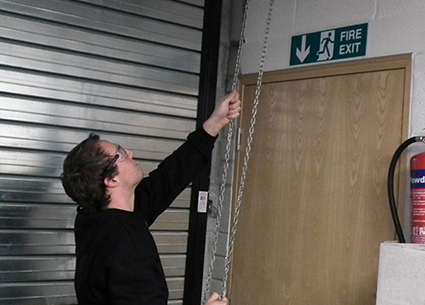 on hand to install, maintain a range of doors including roller, steel and automatic. 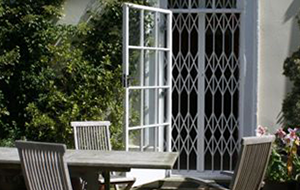 We are here to provide a quality fitting for a range of shutters and grilles, which includes security and fire options for your property. 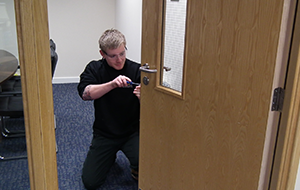 Installed by by our team of experts, our fire doors are assessed for quality by an independent third party to ensure your safety. "Our team of qualified and professional staff install and maintain doors, shutters, and gates for our existing commercial and domestic client base to the highest standards possible, across the South West peninsula." We are pleased to announce that we now offer a complete range of bespoke doors, all designed and installed to comply with the Disability Discrimination Act "DDA". We can also supply and install low-energy door operator mechanisms to reduce electrical consumption of your doors. Along side this, we have the range of B.S7036 compliant automatic units for all your other door automation requirements. Utilising our combined knowledge and expertise, we will work closely with your existing security or access control provider to ensure that your automatic doors are fully integrated with your current system. This will ensure that there is no compromise to the security of your premises. We are committed to offering a full after sales service, which includes annual maintenance packages and a comprehensive 24-hour call out service to all our customers. 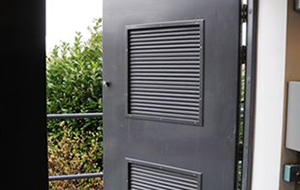 "We work within commercial, industrial and the public sector, providing installation and maintenance of a wide range of commercial doors and shutters."